Dublinbet: Carnival Cash Missions, let's go to Rio de Janeiro! Avis Casinos » Blog » TOP Casino » Dublinbet » Dublinbet: Carnival Cash Missions, let’s go to Rio de Janeiro! Who has not dreamed of a trip to the carnival in Rio? 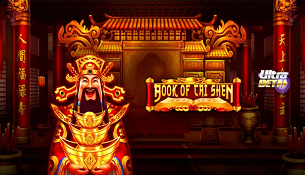 This is what the online casino offers us Dublinbet which organizes 3 missions from 11th to 17th February 2019 to invite us to travel from China, passing through Venice and finish in Rio, where the best Carnival of the world takes place! You will first have to go to the Lantern Festival with the games Hanzo’s Dojo™ and Vikings go Berzerk™, then we will land at the Venice Carnival with Trolls Bridge™ and Valley of the Gods™, and we will finish at the Rio Carnival with three games this time: Vikings Go Wild™, Spina Colada™, et Vikings go to Hell™! Incredible prizes for this mission not like the others! For the festival of Lanterns which will take place from 11th to 12th of February 2019 the prize pool will be £10,000 with a first prize of £2500! As for the Venice Carnival, from 13th to 14th of February 2019, there will be a total of £15,000 in prizes, and the first prize will be £3500! Regarding to the carnival of Rio, from 15th to 17th of February 2019 we can win a magnificent trip to Rio de Janeiro worth £10,000 and a total prize pool of £35,000! To be able to participate in the campaign, players must confirm their participation by clicking (join now) in the pop-up window. Players place a qualifying bet in the participating casino games during the mission period. It is not necessarily obligatory to make additional payments in order to be able to participate. All players who complete the mission for the first time will have a unique player number that will be highlighted so that they can track their position in real time in the game. Players who are out of the ranking will be displayed in the last position as a + 1 qualifier. If the amount of the currency is not available in the game, the bet will be directly rounded to the higher bet amount. The jackpot of the missions can be put to the fluctuations of the exchange rates. The number of laps performed to complete the mission determines the position of the player in the ranking. Whoever finishes in the smallest number of laps will be recognized as the winner. If two players finish the mission in the same number of laps, the one who first arrived will be determined to be the winner. The player’s position is updated every 60 seconds, only real money bets will be taken into account for the mission. The progression of the mission can be restarted when players can no longer improve the score and manually by the player after 25 laps. The restart button is in the game and the cash prizes in the ranking will be credited to the players ‘ accounts once the ranking is completed. 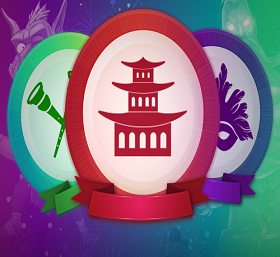 The Festival of lanterns will be from 11th of February from 10.00 CET to 12th of February 23:59 CET. To participate, a minimum bet of £0.50 is required. It is necessary to collect 88 Hanzo’s symbols in the game Hanzo’s Dojo™ and 30 Free spins symbols in the game Vikings Go Berzerk™. For the Venice Carnival the qualifying bets will be £0.40 for Trolls Bridge™, where it will be necessary to collect 2 bonus stones, and £0.50 for Valley of the Gods™ where it will be necessary to collect 100 beetles. As for the Rio Carnival, from February the 15th to the 17th, the qualifying minimum bet will be £0.25 for the 3 games. At Vikings Go Wild™ you will have to collect 30 free spins symbols, for Spina Colada™ it will be 3 capsules features, and for Vikings go to Hell™, we will have to recover 100 free spins symbols. From 11th to 17th February 2019 the Dublinbet Online casino offers us the Carnival Cash Missions. It is about travelling through different world carnivals by completing missions to collect magical prizes in cash but also if lady luck accompanies you so you can win a trip to Rio de Janeiro! First, from 11th to 12th of February 2019 we will celebrate the Chinese New Year with two games Hanzo’s Dojo™ and Vikings Go Berzerk™. We will be able to win £10,000 in cash with a first prize of £2500! From 13th to 14th of February 2019 the prize pool will be £15,000 with a first prize in the order of £3,500, impressive, right? Wait till you see what happens with the Rio de Janeiro’s mission! The prize pool will be £35,000 but the first prize will be a fabulous trip to Rio de Janeiro, and in addition we are offered two packages to choose exactly what we want! The first package is to visit Rio during Carnival 2020 and the second will be to visit Rio de Janeiro off carnival. The trip has a total value of £10,000 incredible isn’t it? The first package, includes round trip flights from Europe to Rio, private transfers from the airport to the Ritz Copacabana Boutique 4 stars hotel, in double or twin bed rooms, for 6 nights, breakfasts included daily , transport to the parade, 2 tickets to the Carnival parade, exclusive access behind the scenes of the carnival of Rio, visit the city of Samba for a samba course, various excursions plus full travel insurance for two! The second package includes round trip flights from Europe to Rio de Janeiro, accommodation in a 5 stars hotel, in a deluxe room with courtyard, breakfast included, a traditional Brazilian cooking course, with preparation a dish with history of ingredients, excursions in Rio, a helicopter flight, and travel insurance for two. Whatever the package chosen it’s really beautiful! Prizes are more than lucrative and the way to win them is really very simple: just play one, two or three Carnival Cash Missions in order to position yourself first by completing all the goals in a minimum of possible laps. Each mission has a different prize pool for the Festival of Lanterns it will be £10,000 with a first prize of £2500, for the carnival of Venice will be £15,000 in cash with a first prize of £3500, and for the carnival of Rio the prize pool will be £35,000 and as the first prize one travel to Rio de Janeiro in two modalities worth £10,000! Subject : Dublinbet: Carnival Cash Missions, let’s go to Rio de Janeiro! March 2019 : Spring Break Prize Drop: come and celebrate the arrival of Spring with Dublinbet! February 2019 : Dublinbet: Carnival Cash Missions, let’s go to Rio de Janeiro! ★ 60 000 euros in Prizes! ★ Boost his score in one or more rankings in order to win a prize in cash with no withdrawal condition. ★ Complete one or more missions offered from slots games in a minimum of turns.